The Outdoor Interiors Eucalyptus Bar Chair with 29.5″ seat height provides great comfort with a curved seat design and multi-level footrests. This Bar Chair is made from sustainable plantation grown Brazilian eucalyptus hardwood and is finished with a beautiful brown UV resistant stain for long lasting outdoor use and durability. With the curved seat design, there is no cushion required, and the well placed footrests bring another element of comfort. 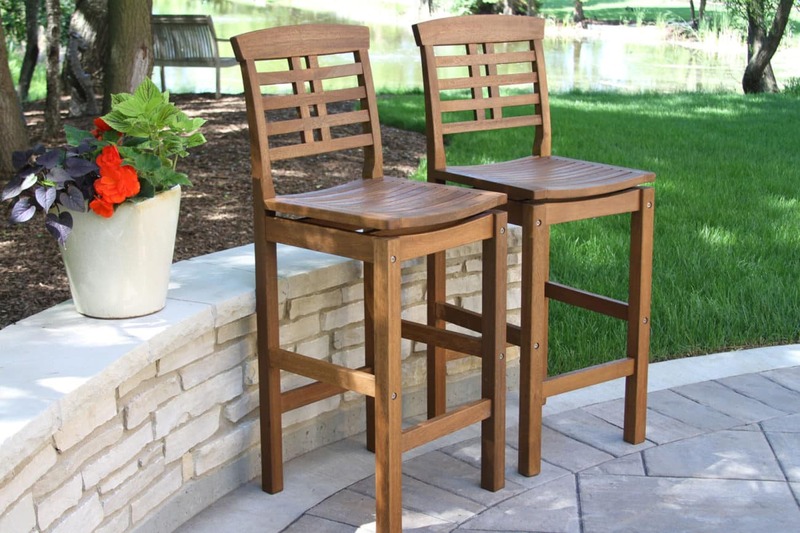 The bar chair pairs well on patios, decks and balconies with our matching bar height tables.